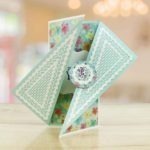 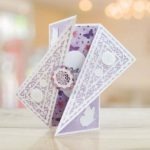 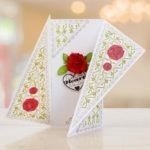 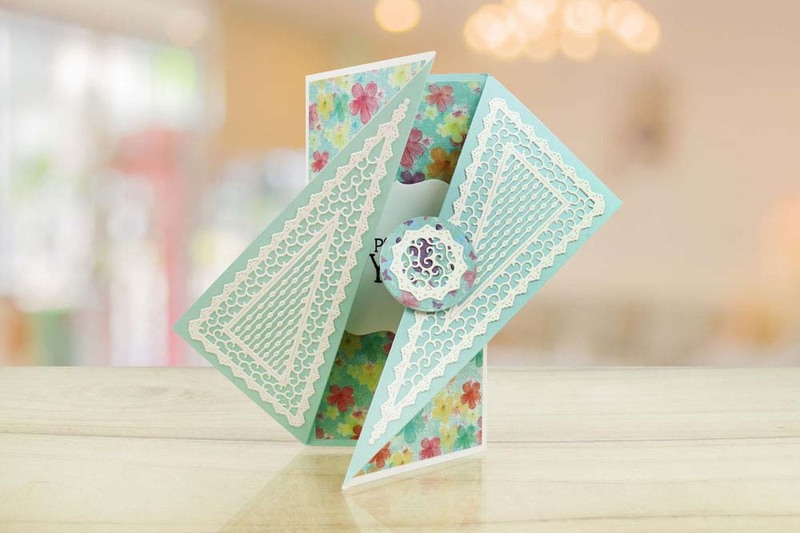 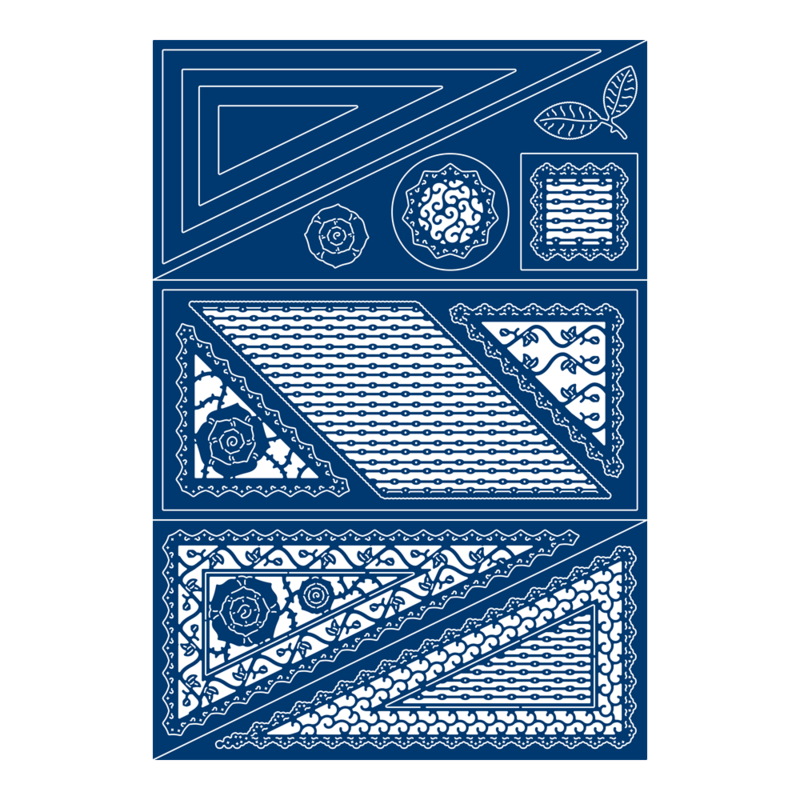 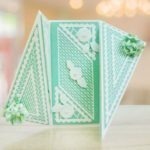 Shaped cards have been some of the most successful designs ever from Tattered Lace and this Tattered Lace Offset Triangle die allows you to create cards with a twist- literally! 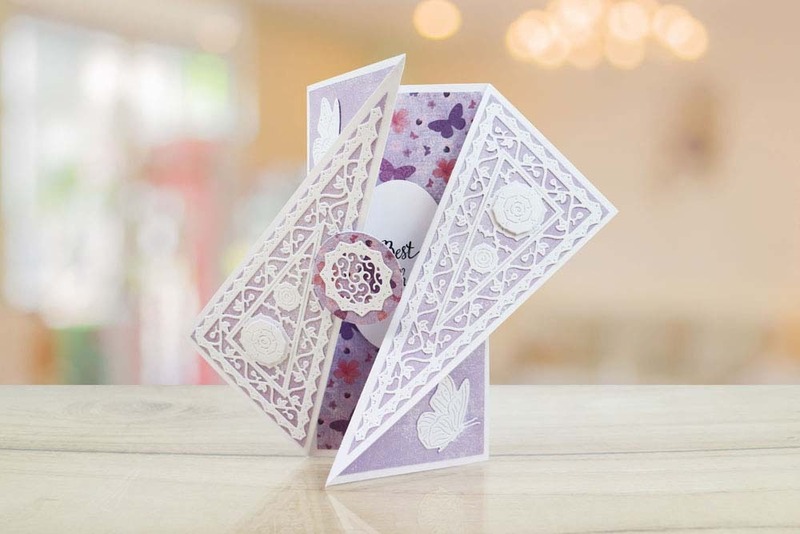 With high versatility this die could also be used to add decorative corners to your photographs and pretty corners on your gift boxes. 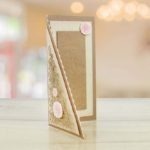 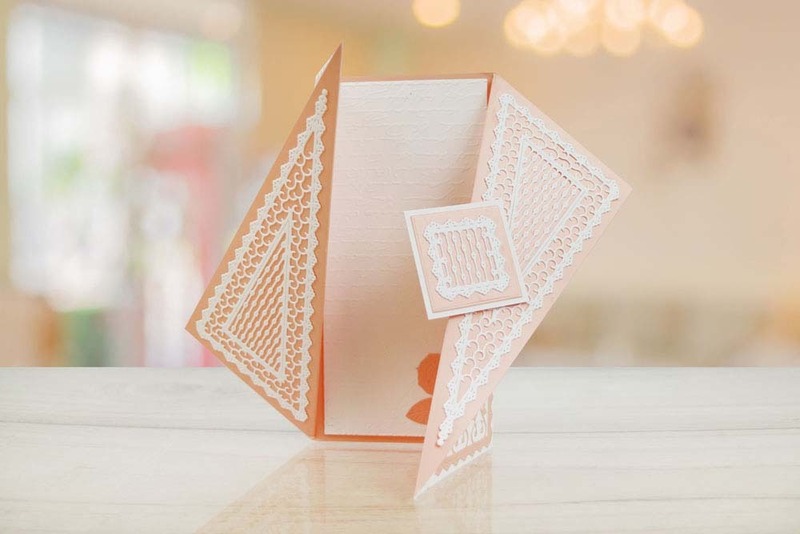 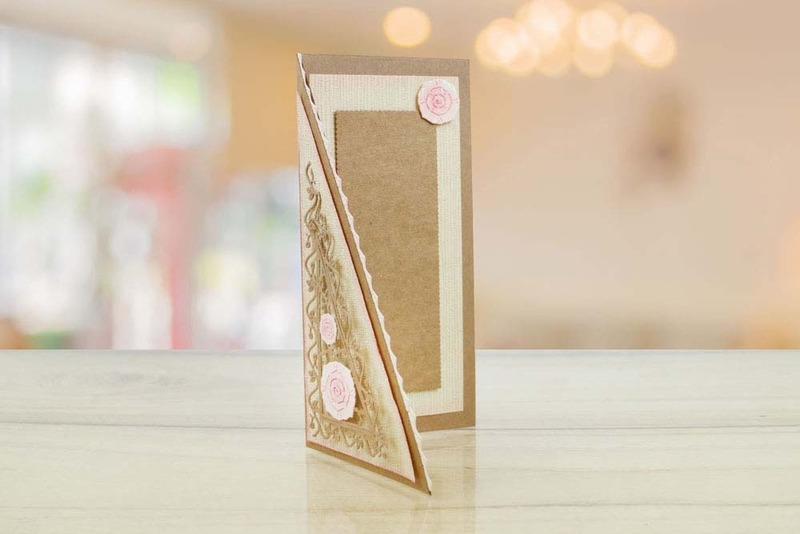 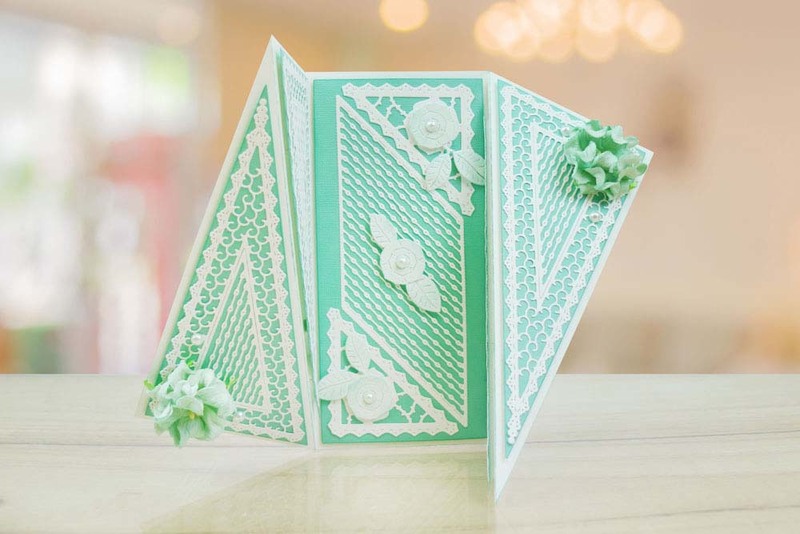 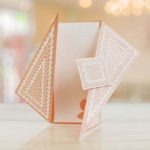 With its easy cut and fold design multiple cards can be created-snip away panels to create a triangle cut back card or a triangle gatefold card. 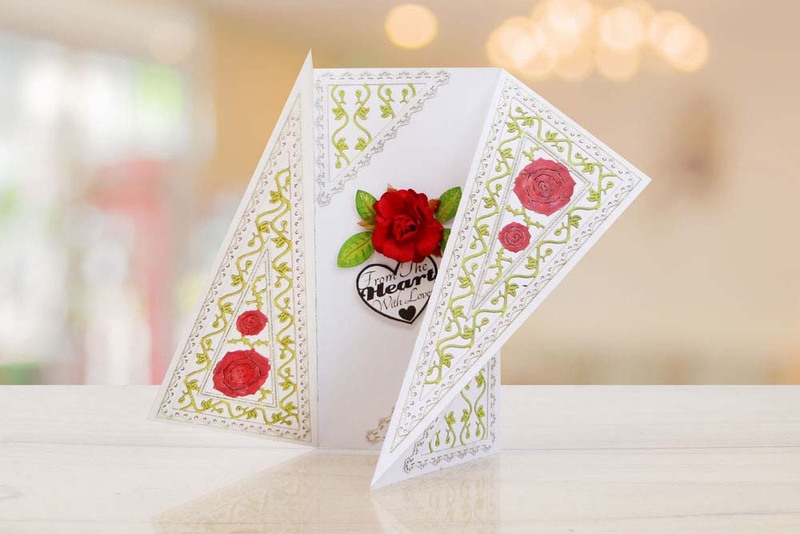 This product is part of the Ultimate Card Shapes Collection.